The swamp just got a little more crowded. 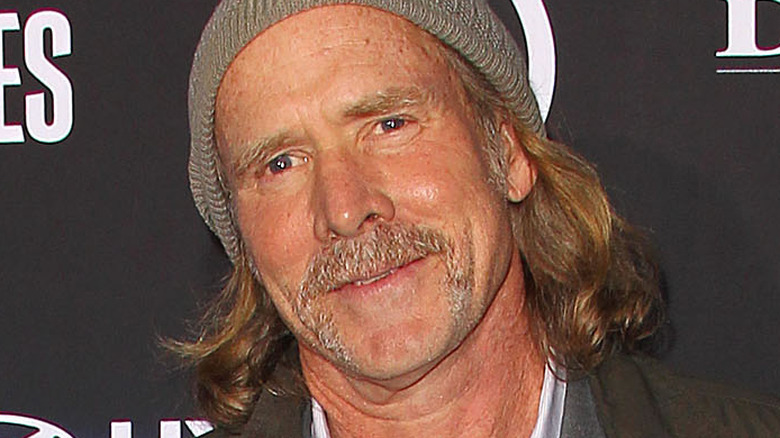 According to Deadline, veteran actor Will Patton has been cast in a co-leading role opposite Crystal Reed in Swamp Thing, the forthcoming series set to premiere on the recently launched DC Universe streaming service. Patton will play Avery Sunderland, a character well-known to fans of the comic series, who is undergoing a slight tweaking for his appearance on the small screen. Rather than the megalomaniacal head of the monolithic scientific research firm which bears his name, the small-screen Sunderland will simply be a prominent businessman and philanthropist. He'll be coming into conflict with Abby Arcane (Reed), an investigator trying to get to the bottom of what she believes to be a virus originating from a swamp in a small Louisiana town. Of course, not all is as it seems — not with the swamp, and not with Sunderland, who has secret designs on co-opting whatever mysterious power the swamp holds for his own personal gain. The report is the second interesting bit of Swamp Thing casting news in just a few days. We recently reported that Academy Award-winning actress Virginia Madsen had joined the cast as Avery Sunderland's wife Maria, who grows increasingly estranged from her husband over his obsession with the swamp. With her acting chops and horror bonafides, Madsen looked like an inspired addition to the cast — and Patton's casting is just as spot-on. Perhaps best-known for his role as Coach Yoast in Remember the Titans, Patton has carved out a niche for himself playing authority figures of various stripes in such shows as 24, CSI: Crime Scene Investigation, and Falling Skies. Most recently, he took on the role of Officer Hawkins in Halloween, which is currently burning up the box office. It's just the latest encouraging news concerning Swamp Thing, which is being produced by James Wan's Atomic Monster production company in association with Warner Brothers television. Scribes Mark Verheiden (Marvel's Daredevil, Ash vs. the Evil Dead) and Gary Dauberman (It, Annabelle: Creation) are penning the series, and Len Wiseman (Sleep Hollow) is on board as a producer. Fans of the property have every reason to be excited. The character's lone previous live-action adaptation was the 1982 feature film Swamp Thing (which everyone seems to forget was directed by Wes Craven) and its 1989 sequel Return of Swamp Thing, which were perfectly serviceable adaptations for their time, but were also steeped in high camp. DC Universe appears to be going to great lengths to give the character the dramatic treatment it deserves, stocking up with a wealth of talent both in front of and behind the camera — and with the casting news beginning to fly fast and furious, it hopefully won't be too long before we find out who will be our Alec Holland. Swamp Thing will join fellow scripted series Titans, Doom Patrol, and Stargirl on the new service beginning in 2019.